Julian Opie’s first museum exhibition in Korea opened 28 September at Suwon Ipark Museum of Art and brings together over 80 works, many of which were made especially for the show and are being shown for the first time. Spread over five galleries and extending out into the public areas of the museum - including its facade - the exhibition includes paintings, sculpture, films and temporary large-scale installations representing urban and rural sights, sounds and environments as well as the people within them. The exhibition is on view through 21 January 2018. Read more here. 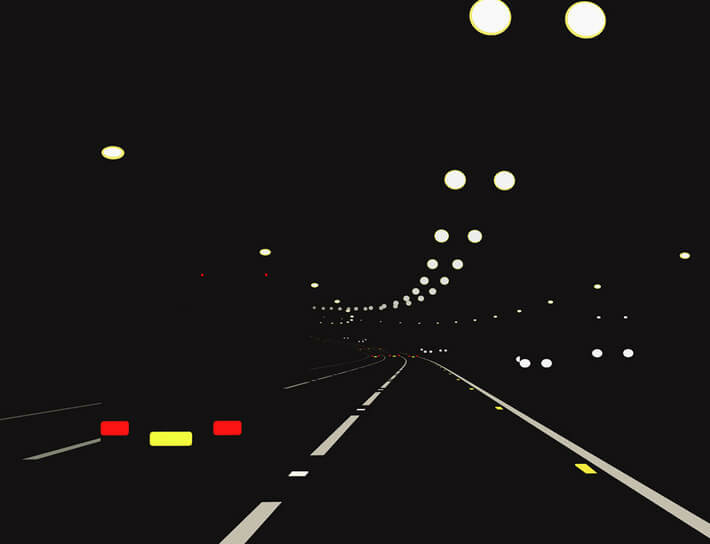 Image: Detail of Night motorway. 1., 2017. Continuous computer animation on 46” LCD screen, 58.5 x 102.7 x 11.5 cm (23 x 40 3/8 x 4 1/2 in). © Julian Opie.